A big announcement for the “Boris Bikes” today, aka Barclays Cycle Hire. 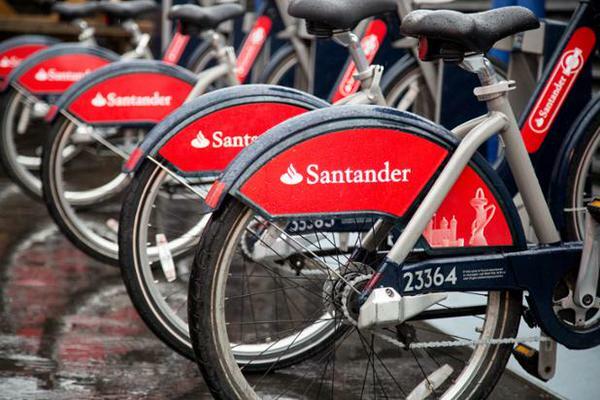 London’s bikeshare system, the second largest in the western world after Paris’s Velib and nearly five years old, will be rebranded as Santander Cycles, and the bikes with have a new, bright red branding – Santander’s corporate colour, and conveniently also London’s most famous colour. As well as the Santander logo, it looks like the “Santa Bikes” will have outlines of London’s icons – the above publicity photo showing the Tower of London and the Orbit, while another includes the Shard and Tower Bridge. A nice touch to remind people these are London’s bikes. It’s great that London’s system can attract “big” sponsors – £7m a year with the new deal – but another document that I spotted today reveals (on the last page) that, despite the sponsorship, London’s system runs at a large operating loss – this is all the more puzzling because other big bikeshare systems can (almost) cover their operating costs – including Washington DC’s which is both similar to London’s in some ways (a good core density, same bike/dock equipment) and different (coverage into the suburbs, rider incentives); and Paris’s (right), which has a very different funding model, and its own set of advantages (coverage throughout the city) and disadvantages (little incentive to expand/intensify). What are they doing right that London is not? In financial year 2013/4, London’s bikeshare had operating costs of £24.3m. Over this time period, the maximum number of bikes that were available to hire, according to TfL’s Open Data Portal was 9471, on 26 March 2014. This represents a cost of just over £2500 per bike, for that year alone. If you look at it another way, each bike is typically used three times a day or ~1000 times a year, so that’s about £2.50 a journey, of which, very roughly, the sponsor pays about £0.50, the taxpayer £1 and the user about £1. In those terms it does sound better value but it’s still a surprisingly expensive system. Rebalancing/redistribution activity, operating a fleet of vehicles that move bikes around. I have no great issues with the costs of the bikes – they are a public service and the costs are likely a fraction of the costs of maintaining the other public assets of roads, buses, railway lines – but it is frustrating to see, in the document I referred to earlier, that the main beneficiaries are in fact tourists (the Hyde Park docking stations consistently being the most popular), commuters (the docking stations around Waterloo are always popular on weekdays), and those Londoners lucky enough to live in Zone 1 and certain targeted parts of Zone 2 (south-west and east). Wouldn’t be great if all Londoners benefited from the system? Scrap almost all rebalancing activity. It’s very expensive (trucks, drivers, petrol), and I’m not convinced it is actually helping the system – in fact it might be making it worse. Most cycling flows in London are uni-directional – in to the centre in the morning, back out in the evening – or random (tourist activity). Both of these kinds of flows will, across a day, balance out on their own. Rebalancing disrupts these flows, removing the bikes from where they are needed later in the day (or the following morning) to address a short-term perceived imbalance that might not be real on-the-ground. An empty docking station is not a problem if no one wants to start a journey there. Plus, when the bikes are in sitting in vans, inevitably clogged in traffic, they are of no use to anyone. Revealingly, the distribution drivers went on strike in London a few months ago and basically everything carried on as normal. Some “lightweight” rebalancing, using cycle couriers and trailer, could help with some specific small-scale “pinch points”, or responding to special events such as heavy rainfall or a sporting/music event. New York uses cyclists/trailers to help with the rebalancing. Have a “guaranteed valet” service instead, like in New York. This operates for a certain number of key docking stations at certain times of the day, and guarantees that someone can start or finish their journey there. London already has this, to a certain extent, at some stations near Waterloo, but it would be good to highlight this more and have it at other key destinations. This “static” supply/demand management would be a much better use of the time of redistribution drivers. Have “rider rewards“, like in Washington DC. Incentivise users to redistribute the bikes themselves, by allowing a free subsequent day’s credit (or free 60-minute journey extension) for journeys that start at a full docking station and end at an empty one. This would need to be designed with care to ensure “over-rebalancing”, or malicious marking of bikes as broken, was minimised. Everyone values the system in different ways, so some people benefit from a more naturally balanced system and others benefit from lower costs using it. Have more flexible user rules. Paris’s Velib has an enhanced membership “Passion” that allows free single journeys of up to 45 minutes rather than every 30 minutes. London, like Paris, is a large city, and the current 30 minute cutoff seems short and arbitrary, when considering most bikes are used around three times a day. Increasing the window would therefore have little impact on the overall distribution of the system and might in fact benefit it – because the journeys from the terminal stations to the City or the West End, which are the most distinctive flows seen, are acheived comfortably in under half an hour. In London, you have to wait 5 minutes between hires, but most systems (Paris, Boston, New York) don’t have this “timeout” period. To stop people “guarding” recently returned bikes for additional use, an alternative could be make it a 10 minute timeout but tie it to the specific docking station (or indeed a specific bike) rather than system-wide. Then, if people are prepared to switch bikes or docking stations, they can continue on longer journeys for free. Adjust performance metrics. TfL (and the sponsors) measure performance of the system in certain ways, such as the time a docking station remains empty at certain times of the day. I’m not sure that these are helpful – surely the principle metric of value (along with customer service resolution) is the number of journeys per time period and/or number of distinct users per time period. If these numbers go down, over a long period, something’s wrong. The performance metrics, as they stand, are perhaps encouraging the unnecessary and possibly harmful rebalancing activity, increasing costs with no actual benefit to the system. Remove the density rule (one docking station every ~300 metres) except in Zone 1. Having high density in the centre and low density in the suburbs works well for many systems – e.g. Bordeaux, Lyon (above) and Washington DC, because it allows the system to be accessible to a much larger population, without flooding huge areas with expensive stations/bikes. An extreme example, this docking station is several miles from its nearest neighbour, in a US city. Annual membership (currently £90) should be split into peak and off-peak (no journey starts from 6am-10am) memberships, the former increased to £120 and the latter decreased back to £45. Unlike the buses and trains, which are always full peak and pretty busy off-peak too, there is a big peak/offpeak split in demand for the bikes. Commuters get a really good deal, as it stands. Sure, it costs more than buying a very cheap bike, but actually you aren’t buying the use of a bike – you are buying the free servicing of the bike for a year, and free distribution of “your” bike to another part of central London, if you are going out in the evening. Commuters that use the bikes day-in-day-out should pay more. Utility users who use the bike to get to the shops, are the sorts that should be targetted more, with off-peak membership. A better online map *cough* of availability. The official map still doesn’t have at-a-glance availability. “Rainbow-board” type indications of availability in certain key areas of London would also be very useful. Weekday use, in particular, follows distinct and regular patterns in places. Better indication of where the nearest bikes/docks are, if you are at a full/empty docking station, i.e. a map with route indication to several docking stations nearby with availability. Better static signage of your nearest docking station. I see very few street signs pointing to the local docking station, even though they are hard-built into the ground and so generally are pretty permanent features. Move more services online, have a smaller help centre. A better view of journeys done (a personal map of journeys would be nice) and the ability to question overpayments/charges online. 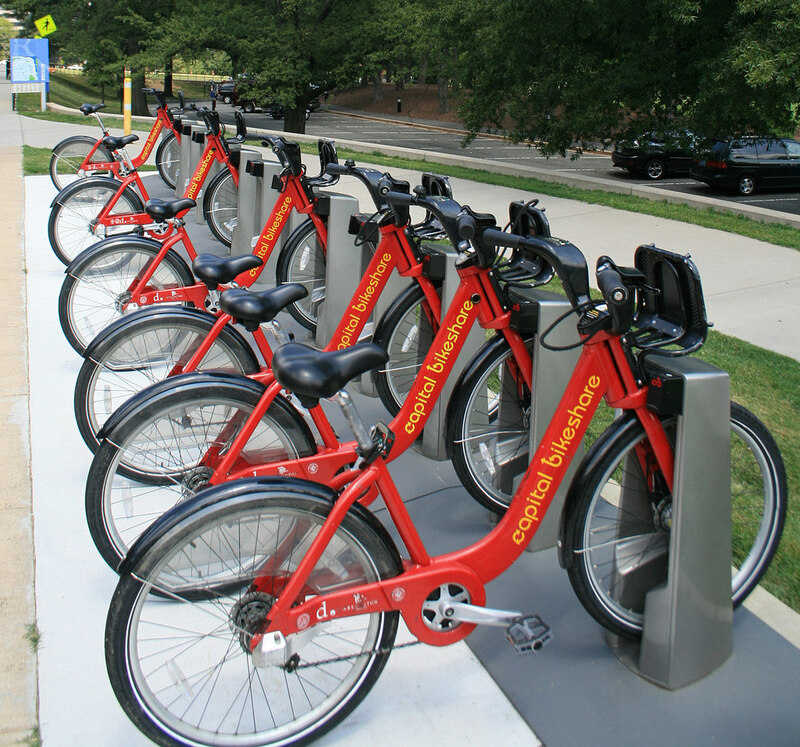 Encourage innovative use of the bikeshare data, via online competitions – e.g. Boston’s Hubway data visualisation competitions have had lots of great entries. These get further groups interested in the system and ways to improve it, and can produce great visuals to allow the operator/owner to demonstrate the reach and power of the system. Allow use of the system with contactless payment cards, and so integration with travelcards, daily TfL transport price caps etc. The system can’t use Oyster cards because of the need to have an ability to take a “block payment” charge for non-return of the bikes. But with contactless payment, this could be achieved. The cost of upgrading the docking points to take cards would be high, but such docking points are available and in use in many of the newer US systems that use the same technology. London has got much right – it “went big” which is expensive but the only way to have a genuinely successful system that sees tens of thousands of journeys on most days. It also used a high-quality, rugged system that can (now) cope with the usage – again, an expensive option but absolutely necessary for it to work in the long term. It has also made much data available on the system, allowing for interesting research and increasing transparency. But it could be so much better still. Washington DC’s systems – same technology as London’s, not that much smaller, but profitable. Good points. I believe a lot of these also apply to the Bicing system here in Barcelona. Yes – although redistribution is more necessary in Barcelona as the city is on a slope towards the sea – so the morning commute downwards will never be matched by an evening commute upwards. London’s is much more even. Point 7 is a no-brainer for Wandsworth – horrendous crush to get on the Northern line and services through Clapham Junction. Have already forwarded your post to the powers that be! Yes – although the intention was never to replace commuter flows, simply as there are so many commuters and so few bikes. A docking station with 100 bikes would make very little difference to 1000 commuters on a tube line running every 3 minutes. I would add one more. 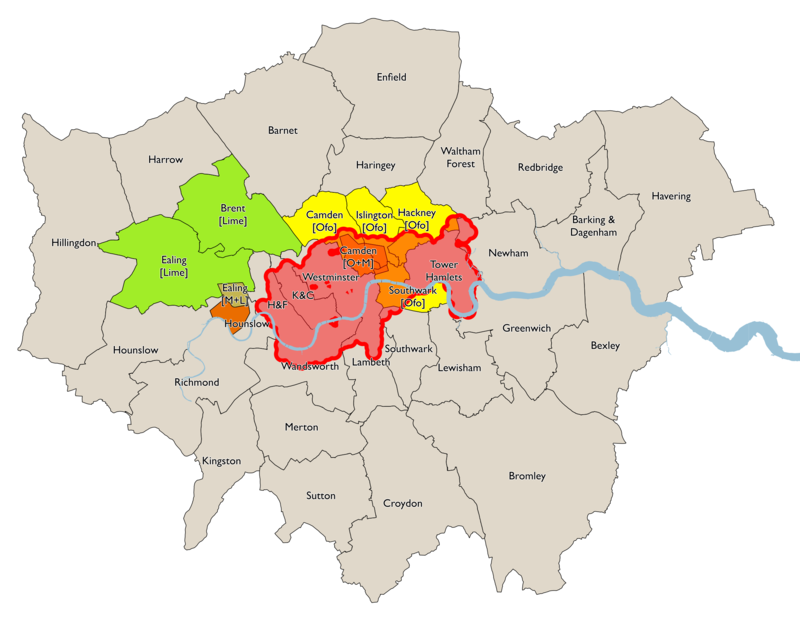 Extend the Scheme into Bermondsey and Rotherhithe. These are the only parts of the central area where the Scheme has not been implemented apart from one lonely docking station in Curlew street close to Tower Bridge. I enquired of TfL about a year ago if it intended to bring the Scheme to this part of London and was advised that there are no plans to do so. This is bizarre when one considers the scheme already extends east all the way to the Isle of Dogs. If anyone is any doubt about what I am saying I suggest they take a look at TfL’s own map showing the distribution of docking stations. They will see a huge gap in the south eastern corner. That is Bermondsey and Rotherhithe. Thanks Watdanbi – covered by Point 7. The gap is likely because of (a) low modal share of cycling in the area already, TfL would be nervous of introducing it into an area where people don’t cycle as it would take a while for the use to increase, and (b) the barrier of the Thames preventing north/south movements, meaning you would have quite a linear east/west movement, likely bad for natural redistribution/circulation of the bikes, (c) few tourist attractions, so again the main users likely to be commuters which are “bad” for the system due to their highly time-dependent and direction-dependent use. Don’t get me wrong – I think it should definitely expand here. But there are reasons why that hasn’t happened yet. It looks like a good bike rental system!!! Regarding the strike Aug 12-13, 2013, I looked up the data on daily trips and rebalancing amounts. Makes me wonder if the workers actually striked or reached an agreement before the deadline. What I do see though is that Serco’s rebalancing may not be very effective. 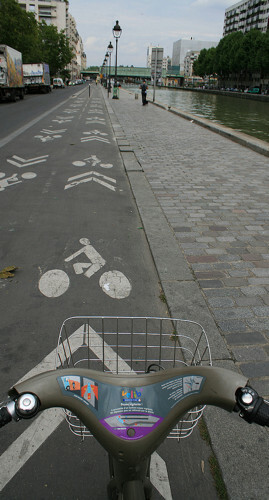 For every repositioning of a bicycle it only gets used a little more than two times. Hi Cyrille, those numbers look interesting – where do you get the rebalancing numbers from? I haven’t seen them published before. It also looks like PBSC is still making and selling bike-share infrastructure. Guadalajara launched their bike-share system on Dec. 1, 2014 with 86 stations and 860 bikes made by PBSC. The map on the side of the stations is too localised and there’s no call to action to get online, get an app or likewise. So luckily I had data (tourists probably won’t however they’re not the key focus) and googled the company, found a half assed map that showed a whole bunch of ‘pins’ however they didn’t turn out to be stations! Rubbish experience. The touchscreen was no help either. Oh…and what IS that luggage rack all about? Useless….the shock cord is like a gym workout and wrecks anything crushable…. HI Sir, thanks for this. I just visited London for business and used the system extensively. Many of the idiosyncrasies discussed in this article are above my only cursory knowledge but all seem reasonable. A comment and a question: The maps at the terminals are totally worthless. What is the point of even loading them on the screen if they only show 4 ‘quads’ of London and even then not a single docking station? Why the 5 minute wait between rentals? I was often faced with this in NYC with the two minute rule (which was bad enough) but in a cold, rainy London, it was cumbersome…. You mentioned ‘quarding’. What is the worst case scenario of this and how does the 5 minutes benefit the users more than the obvious punitive aspect for longer rides? Yes, the maps are not great. The software is “off the shelf” and I guess the original creators weren’t too focused on having useful maps. Re guarding, this was presumably a policy decision at the initial planning stage, when they thought it could be a problem, rather than something that came in to stop the behaviour. I know that other cities don’t have it and don’t have issues, I think. Maybe it is something that could be optimised by only restricting it for the same docking station. The terrain is a factor in this program. These bikes are built like tanks. I tried to lift one in a dock here in Vancouver, Whoa!, it was heavy, and of course they have to be sturdily built to be serviceable. But having rented this thing I would not want to be walking alongside it pushing it up relatively minor hills. There are plenty of spots in this city that even on my lightweight road bike with shoes and cleats are a pull that would be impossible to tackle in a pair brogues and a business suit on a hot day on this steed. Your colleagues would certainly not want you in the office afterwards. Would be great if there were bikes outside Stratford station, as a lot of people would prefer this method to get to Canary Wharf, instead of the DLR/Jubilee line. Think the nearest ones are tucked away on the other side of the Westfield shopping centre or about 20 mins walk by Bow Church! Would also be good if a Travelcard covered bikes too, instead of paying on top of this cost for hire. Thanks for sharing this information and the ideas. Was just talking yesterday with a friend who mentioned the £2500 per bike, per year figure.